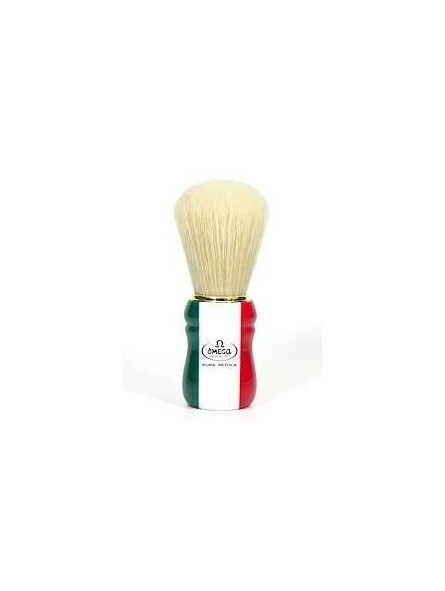 Omega Pure Bristle “Italian Flag” Shaving Brush. 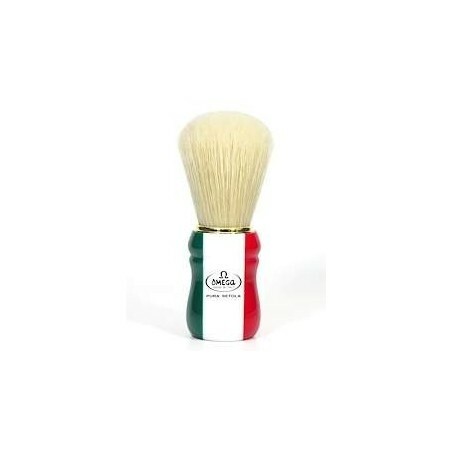 The Omega 21762 “Italian Flag” is a pure bristle professional shaving brush is made to honor all those Italian barbers that have been using Omega professional shaving brushes in their barber shops. The resin turned handle is decorated with the colors of the Italian flag.